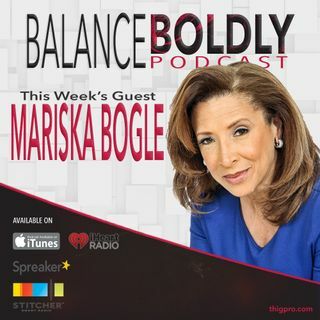 Mariska Bogle joins joins the Balance Boldly Podcast to talk about how her curiosity led her to be the Executive Director of Philadelphia Hospitality. She shares the fears that high achievers try to overcome, what she does to maintain her quality of life, and how she lives bravely and authentically as she enjoys living in the moment. Mariska is the Executive Director of Philadelphia Hospitality, an organization dedicated to promoting Philadelphia as a premier travel destination for cultural ... See More and history enthusiasts. She has worked in print, media, marketing, and advertising as well as in their family-run business, the Philadelphia Tribune. As a communication expert, she provides strategic planning and marketing on how to connect the organization with the community and cultivate cross-regional relationships.